Gong meditations, a type of Sound Therapy, have been around for thousands of years as a healing modality and have been said to help with anxiety, sleep disorders and even chronic pain. It is said that this particular therapy aids in stress reduction, breaking up emotional blockages within each person that practices this technique. The Gong produces a strong sound wave, almost tangible to the touch, which stimulates the physical body with vibrations on the surface of the skin and down to every cell. This new approach to the Gong Meditation by Gong Master Andrea (copyrighted & registered as Gong Meditation Dive©®), is holistic and musical, based on the harmonics theory: that consonant and multiple harmonics move the body's cells emphatically, providing a greater healing experience than with the more traditional single gong therapy. Although the session is not a concert, it has a musical soul that differs from other types of sound baths. 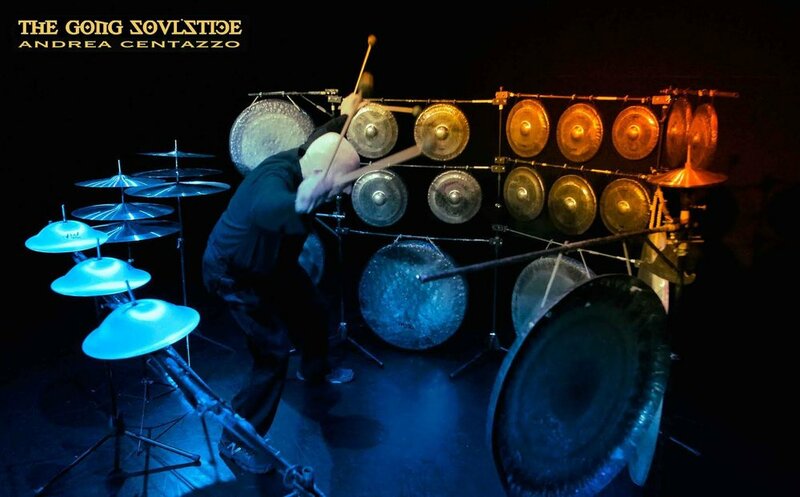 This is done on a set of almost 30 gongs and combines the principles of music and sound healing into a completely unique experience.